One of the great things to do in the summer is to spend some time at a seaside boardwalk. As a kid, we went to Atlantic City and I remember bringing home a turtle from the Boardwalk, as well as some great salt water taffy. When our kids were young, we took them to Wildwood Boardwalk at the Jersey Shore for fun on the ride and games. Do you have any fond memories of spending time on a boardwalk? 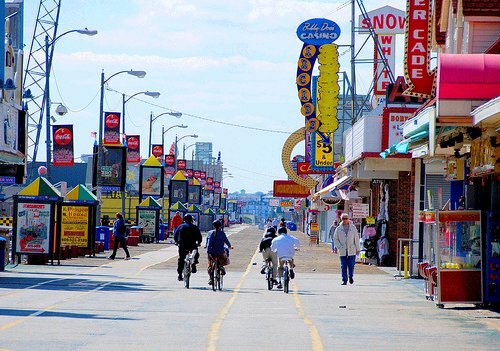 Check out this list and see if you visited any of these great American Boardwalks.